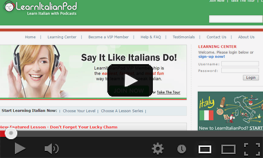 Whether your are going to Italy for the vacation of a lifetime, you have Italian-speaking family and friends, or you’re learning “la bella lingua” for the pure pleasure of learning, LearnItalianPod will help you to learn Italian – fast and easily. Premium Audio, Lesson Translations and Supplementary Vocabulary in PDF Format, Transcripts with Line by Line Audio and Video, Audio Glossary and Flashcards with Thousands of Words and Definitions, Interactive Quizzes. Access our state-of-the-art learning center and learn Italian on your terms, where and when you want on your desktop, tablet, or your mobile device. LearnItalianPod is 100% mobile friendly. Our lessons will provide you with knowledge on a great variety of cultural and grammatical topics. You’ll learn the real everyday Italian, and more importantly, you’ll gain a true understanding of how Italians think and live. That’s right. Since launching, LearnItalianPod’s lessons have been downloaded more than 27 million times and helped countless students around the world to learn “la bella lingua”. 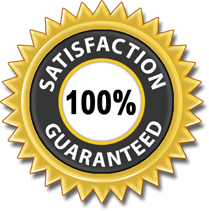 Your LearnItalianPod VIP Membership is backed up with our “Ironclad, Unconditional, Nothing to Lose, 100% Satisfaction Guarantee”! Plus, you can cancel your subscription at anytime – no questions asked. What Do I Get as VIP Member? LearnItalianPod's method will teach you the real everyday Italian, and more importantly, you’ll gain a true understanding of how Italians think and live. Make sure to watch the videos below understand how our method works so that you can maximize your learning Italian experience. Premium Audio lessons with a clearer sound, a better quality, and no advertisements that you can download all at once, transfer to your favorite MP3 player, take with you and practice whenever and wherever you want! -> Hundreds of Premium Audio Files Now Available! * - Premium Audio Available for Limited Time Only! Learn More. Test & review everything you've learned - the fun way!